Watch the videofron any DVD or computer media player. Start and stop whenever you need. Or, order the Streaming video course and watch it your computer or mobile device! Enjoy the convenience of taking this workbook course in the comfort of your own home and at your own pace. Take as much time as you need to complete the course, but allow for 7-10 days for BMV processing. Certificate of Completion will be sent electrically to BMW after you pass. *If you want or need to cancel your account at any point prior to taking the final exam, we will give you a full refund. No questions asked. 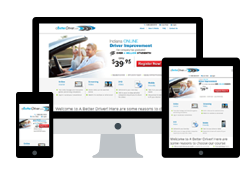 In Indiana drivers who commit two or more traffic offenses that result in convictions within a 12-month period are required to take and successfully pass a Driver Safety Programs (DSP) that is approved by the Indiana BMV. Drivers who are under the age of 18, who are convicted of two or more traffic offenses, involved in two or more accidents, or combination of both within a 12 month period are required to successfully complete a Driver Safety Program. As soon as the Indiana BMV is notified of your convictions and incidents, it will require that you complete a Driver Safety Program within 90 days by sending you a notification. If the BMV is not notified of your completion within 90 days, your driving privileges will be suspended. Also note that having 18 or more active points on your license in a two year period could place you on suspension and also puts you at risk to have your driver’s license suspended. Once you take and complete the Driver Safety program successfully from an approved Driver Safety Provider, The BMV will apply a 4 point credit to your driver’s record.If your licenseisal ready suspended the successful completion of the program will result in there instatement of your driving privileges. All Indiana drivers can take a Driver Safety Program and receive a 4 point credit from a provider that has been approved by the BMV. If you’ve received a citation and have been accessed points you do not have to wait to be contacted to register and complete an approved driving course. When you complete a Driver Safety Program, whether you are required to take it or you take it voluntarily, you will get a 4 point credit on your driving record once every three years. The reduction of points also protects your insurance rates, prevents a license suspension and may even qualify you for an insurance rate reduction. 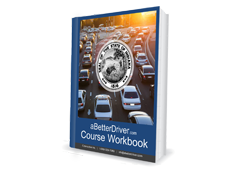 You can also have your license reinstated once an approved BMV course is successfully completed. 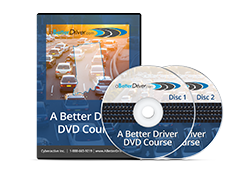 After you complete the Driver Safety Program and submit the results, it may take the BMV 7 to 10 business days to post the results on your driver’s record. This time includes processing by the Driver Safety provider and the BMV. Ready? Let’s go Register Now!